Business promotional items, corporate gifts and specialty products can sometimes provide a higher return on your investment than other traditional marketing efforts. This makes it a win-win for both you and your clients. Whether you need something to give away at a trade show, or a quality gift to send to your best clients at the holidays, Boldmedia is dedicated to ensuring your business and brand is reflected in the quality of a finished product. 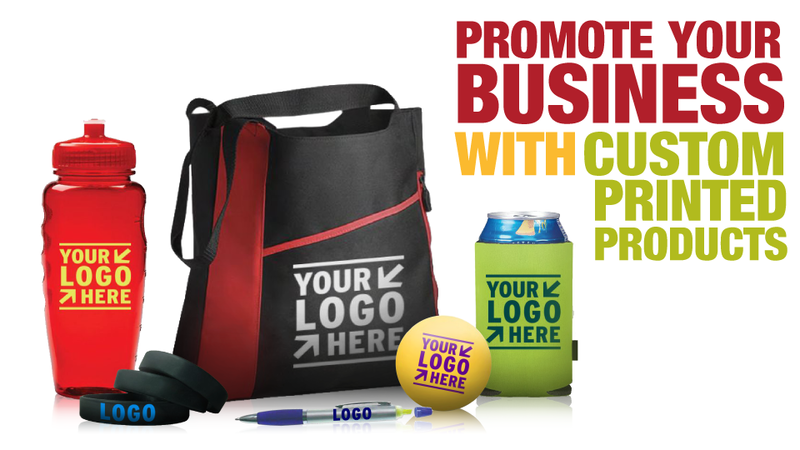 Boldmedia goes far beyond a catalog of standard promotional products that can be printed with your logo. We can work with you to find specialty solutions, such as custom labeled food and drink, uniquely branded furniture and installations, embroidered clothing and uniforms, and so much more. Looking for something more enduring? Boldmedia can create custom cast plaques, engraved bricks, embossed trophies and metal items – even preloaded digital storage to create an interactive impression. No matter what you need to get and keep your customers’ attention, Boldmedia has the answer. Click on any of the options below to learn more about a specific product, or call us today to discuss your project needs! Whether you need custom business cards, letterhead or promotional products, Boldmedia can turn your visual dream into real-world impressions. We are dedicated to building your brand with a quality promotional product or printed specialty item, providing the best service possible—to your exact specifications.